The concept of Early Hearing Detection and Intervention (EHDI) was coined by the Joint Committee on Infant Hearing (JCIH). The Joint Committee on Infant Hearing is a group of representatives and stakeholders, member and supporting organizations across many disciplines. JCIH has been in existence for approximately 30 years and has released a number of positions statements with national and international recommendations regarding newborn hearing screening, early identification of hearing loss and subsequent timely early intervention. The most recent position statement was released 2007 with an Early Intervention Supplement added in 2013. JCIH also publishes Principles and Guidelines as well as, Quality Indicators and Benchmarks for each state to strive towards. All states follow the JCIH recommendations and have an established EHDI program in each state as part of a public health initiative. EHDI includes the universal newborn hearing screening, follow audiological and subsequent enrollment in early intervention. All of these components are also known as the 1-3-6 plan which states that hearing screening be completed by one month of life, audiological evaluation post newborn hearing screening by three months of life and enrollment in early intervention by 6 months of life. Some of these timelines may vary by state, for instance some states like Ohio require newborn hearing screening to be performed before hospital discharge while other states may screen babies in the hospital and offer another screening at a site by one month of age. Many states have newborn hearing screening programs either by a legislative mandate or a statewide voluntary process. Newborn hearing screening is the first step in the EHDI process, but not necessarily the last step. Data from the Centers for Disease Control (CDC) state that 97% of newborns are screened for hearing risk(CDC 2012 Hearing Screening & Follow up Survey). However, most states still struggle with lost to follow up (LTF) rates which means babies are lost to the system. Lost to follow up can occur from the hospital screening to the follow up audiological test and also babies are lost from the audiological follow up to the early intervention stage. National efforts and quality improvement initiatives are underway to reduce the lost to follow up at each level. Babies have a critical time period for language learning, communication and auditory brain development. The first three years of life are very important for communication. Early and accurate diagnosis is very important. Service delivery should be child and family centric and interdisciplinary. Parent support and coaching are very critical elements. EHDI programs are in place to find babies that are at risk for hearing loss, to assist with early identification and enroll babies in early intervention services. The value of early identification of hearing loss paired with timely and appropriate early intervention has shown to be advantageous for the development of communication, cognition, language, social, emotional and academic success. 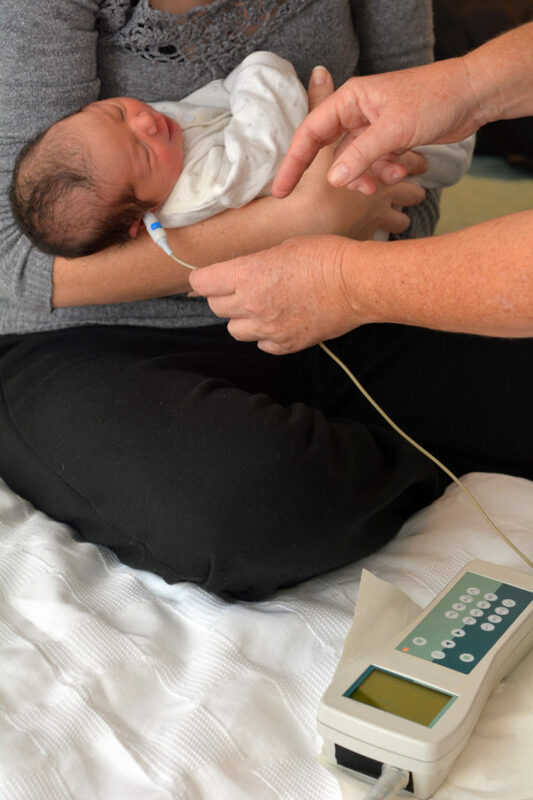 Remarkable success is noted for babies who have gone through the EHDI process, yet there are still many opportunities for improvement at every stage of the EHDI system. Dr. Kothari has many years of experience with newborn hearing screening and Early Hearing Detection and Intervention(EHDI) and is very passionate about early identification of childhood hearing loss and language outcomes.